United Continental Airlines' CEO is taking a medical leave after suffering a heart attack last week, the company said Monday. The company named its general counsel, Brett Hart, to be the acting CEO. 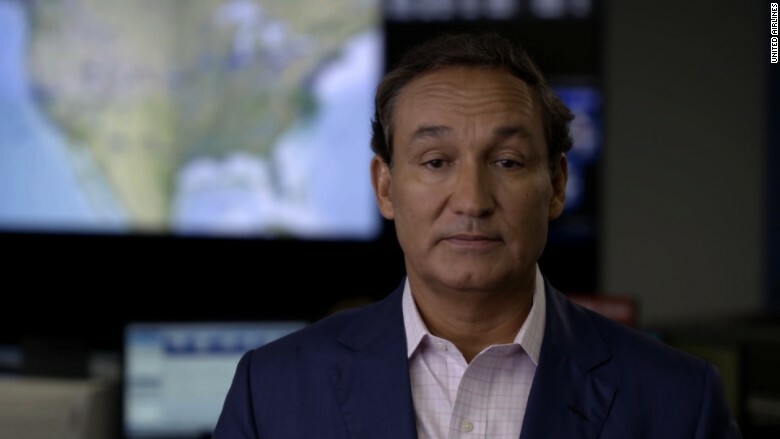 United did not give a time frame for the return of the ailing CEO, Oscar Munoz, 56. "At this time, it is too soon to know the course of treatment and timing of recovery," the company said. It was the first time the company acknowledged that Munoz had had a heart attack. 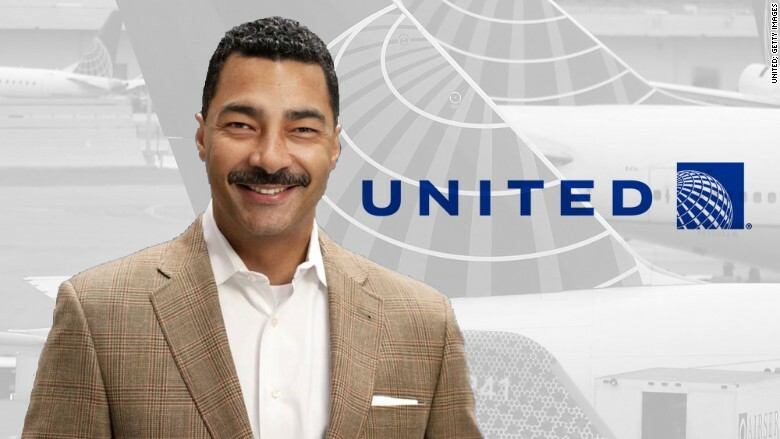 The change at the top comes only 41 days after Munoz himself was brought on to help repair United's image following the abrupt exit of the previous CEO in a corruption scandal. Munoz had been scheduled to preside Thursday over United's first quarterly financial presentation since becoming CEO. United said Monday that Hart, the acting CEO, has had a broad role at the company, which he joined in 2010. In addition to serving as United's top lawyer, Hart has been its chief lobbyist -- responsible for government and regulatory affairs. He has also overseen corporate real estate and security, among other things. "I am confident in his ability to continue to implement the company's strategy and Oscar's mission," said Henry L. Meyer III, non-executive chairman of the board. Earlier in his career, Hart, 46, was special assistant to the general counsel at the U.S. Treasury Department. He came to United after seven years with Sara Lee, rising to be executive vice president. Hart was at Sara Lee when its CEO, Brenda Barnes, suffered a stroke and resigned in July 2010. Hart announced he was leaving for a position at United three months later. Brett Hart, United's top lawyer, has been named acting CEO. He took over as CEO on September 8 from CEO Jeff Smisek, who resigned after allegations of favor trading between the airline and the Port Authority of New York & New Jersey. Among the allegations being investigated by federal officials are that David Samson, former chairman of the Port Authority, used his position to get United to start a flight from Newark to South Carolina -- which was convenient to a home he owned. The Port Authority operates major public transportation routes in the two states including Newark Airport, a United hub. Oscar Munoz, brought into United from CSX last month, has gone on medical leave. Those issues were followed by more bad news for the company. A major computer glitch this summer shut down flights, and United ultimately apologized for "falling short." United ranks at the bottom for customer satisfaction among major airlines, according to several surveys. Munoz told the Wall Street Journal earlier this month the company's employees are "disengaged, disenchanted, disenfranchised." Many analysts (and travelers) feel that United Airlines is still suffering from integration issues as a result of its merger with Continental five years ago. United's stock has lagged Delta (DAL), Southwest (LUV) and its other big rivals in the past five years. Eric Marshall, a portfolio manager with Hodges Capital and holder of United stock, said United needs good leadership. He conceded that it would be a blow to United if Munoz is unable to return anytime soon. Marshall said one reason why investors were excited about Munoz is because of his experience at CSX. Railroads have already gone through some of the same challenges that United has now -- such as dealing with consolidation and poor customer service. But Marshall added that he's confident United will be able to get back on track even if the company needs to find a new CEO. The company is scheduled to report its third quarter earnings on Thursday morning.